In this workshop you will learn which carrier and essential oils you can use for pregnancy massage, and which essential oils you can use in a diffuser during pregnancy and birth. You will learn about their properties, how they work, different ways in which to apply them and about safe dosages. I have been trained by: José Zwaantjes from Zwaantjes essentiële olien (Foundation course in aromatherapy in 2002), Ellen Wagenaar from Chi Instituut, Aromatherapy for pregnancy and baby’s 2004, Harmen Rijpkema (author of Aromecum, the only comprehensive handbook for aromatherapy written in Dutch), Chi Institute, Advanced Aromatherapy (chemical structure) 2010. I love to share my fascination with essential oils, which is an ongoing journey. 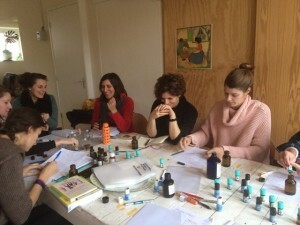 “Doing the aromatherapy course with Joyce was a wonderful initiation to the world of oils and their powerful potential in supporting and unlocking hidden resources within. The course was practical and informative, giving plenty space to the individual sensorial experiences and observations of the participants, balancing these with existing research, various source materials and very clear hand-outs to take home with you at the end of the workshop. Like a walk for all the senses, the workshop left me feeling refreshed and eager to learn for more. Price: € 65,- / price for NBvD leden: € 60,- / Special price for JJDoula’s: € 55,-. Price is exclusive of 21% VAT (btw) and inclusive of 1 bottle of 50ml massage oil with essential oils of your own making. 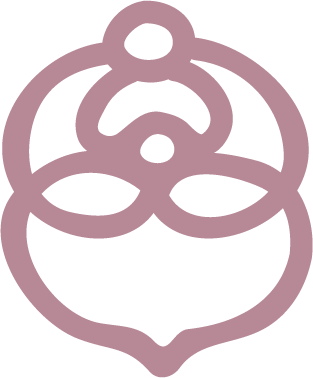 Accredited for 4 training points for NBvD (Dutch Doula Association) members. Registration through filling out this google form (preference); if the google form doesn’t work for you, then via: embracingbirthnl@gmail.com. Pls put as subjectline: aromatherapy *date*. Your registration is final when you have received a confirmation email and when the workshop fee has been received. Open to doulas, midwives, kraamverzorgenden, birth lovers, masseurs, childbirth educators. pregnancy yoga teachers. Workshop will go ahead with a minimum of 6 participants; maximum 16 participants. Workshop will be taught in English or Dutch, depending on registrations. Cancellation policy: for Doulas or midwives who are called to a birth 100% refund (or you make take the workshop at a later date). Cancellation due to reasons other than being called to a birth: 72 hours in advance refund excluding € 15,- administration costs; 24 hours in advance 50% refund. If cancelled on the day of the workshop, no refund, but you can join the workshop at another time.